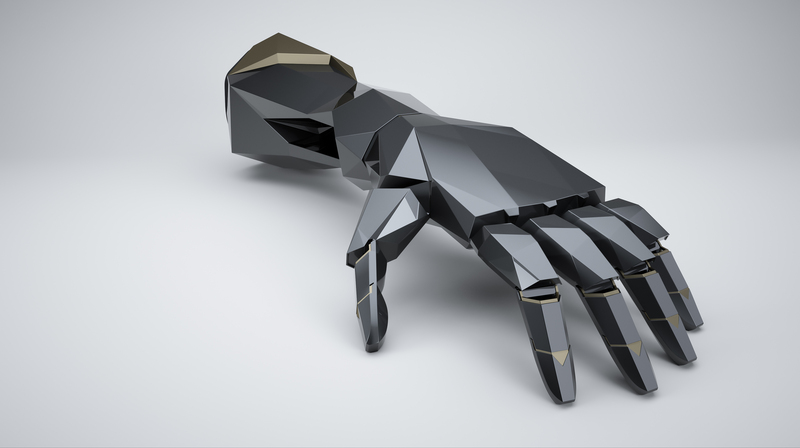 How would augmentation change our perception of the human body? Augmented has been a trending word in geek culture for a long time, especially when virtual reality became a game-changing technology in science fiction. Augmented implants might represent the enhancements of the human body parts in particular, such as an augmented cornea could detect x-rays and ultraviolet radiation. But, otherwise, our body parts, in this case, our brains, might be an augmented part of a supercomputer or an android. Augmented body parts are, in biological terms, the enhanced mechanism giving the human body new functions which it did not have, such as bio-magnets. Magnetic implants are a rudimentary form of the futuristic augmented body parts, inserting beneath the skin to sense the magnetic field and radiation. But it is just the beginning of the augmentation era, compared to the possible improvements into the organ system of the human body, such as the circulatory system and the respiratory system. Blood is carried to every part of the body in an intricate system of tubes that makes up the circulatory system(1). The augmented circulatory system could give the human body an opportunity to control each cell in the bloodstream to prevent cancer and diabetes. Oxygen is necessary for all body functions and cells obtain most of their energy from chemical reactions involving oxygen, these are the burning of the fuels we call food(2). The augmented respiratory system could be able to use other elements instead of oxygen, hence the enhanced human would be breathing other elements instead of oxygen in extreme environments. The notion of altering and improving the human body via technological mechanisms is well-explained in the Deus Ex video game series, especially Deus Ex: Mankind Divided(3). In this cyberpunk world, people, without augmentation, have ambivalent feelings and thoughts about the augmentative revolution, questioning how many augmented part or implant is needed to transform a human into a non-human. Anthropomorphic perspective constrains our imagination and thoughts on augmentative revolution awaiting. The human body might not be enhanced and altered by augmented parts during the augmentative revolution. Maybe, an external body or supercomputer will be enhanced by the human brain as an augmentation. It would be the way of saving humanity from its circumscribed functions. The reason is as follows. The human brain could not manage all augmentations inserted into the human body because of its capacity and calculation limit. But transferring all the data that the human brain has obtained to an enhanced external body or a supercomputer would give the human brain a chance to evolve. “An emulation of the human brain running on an electronic system,” Ray Kurzweil writes in The Singularity Is Near,” would run much faster than our biological brains. Although human brains benefit from massive parallelism(on the order of one hundred trillion interneuronal connections, all potentially operating simultaneously), the best time of the connections is extremely slow compared to contemporary electronics. ” If the emulation of the human brain becomes a manageable process, the human brain is no longer a biological subject but a technological term. Machine intelligence becomes our superior as a confluence of systems. “Technological Singularity refers to a time to come in which machine intelligence greatly surpasses that of its human originators, and biological life is subsumed by technology(4).” In this regard, the human body is the material the human brain will no longer be needing. SOMA, a well-known sci-fi horror game, simulates a world in which you experience the outcomes of the emulation of the human brain, even if you are not a transhumanist(5). (1) L. Gemmill, Chalmers. "The Circulatory System." The New Book Of Popular Science Vol-5. Grolier Incorporated, 1988. 207. Print. (2) L. Gemmill, Chalmers. "The Respiratory System." The New Book Of Popular Science Vol-5. Grolier Incorporated, 1988. 220. Print. (3) “Deus Ex: Mankind Divided.” Steam, Valve Corporation, 27 June 2018, store.steampowered.com/app/337000/Deus_Ex_Mankind_Divided/. (4) O’Connell, Mark. "A Short Note on the Singularity." To Be a Machine: Adventures Among Cyborgs, Utopians, Hackers, and the Futurists Solving the Modest Problem of Death. London: Granta Books, 2018. 70. Print. (5) “SOMA.” Steam, Valve Corporation, 27 June 2018, store.steampowered.com/app/282140/SOMA/. (6) O’Connell, Mark. "Mere Machines." To Be a Machine: Adventures Among Cyborgs, Utopians, Hackers, and the Futurists Solving the Modest Problem of Death. London: Granta Books, 2018. 127. Print.